How Serious are Food Allergic Reactions? Food Allergy Bullying – What’s the Solution? There has been an abundance of publicity surrounding Food Allergy Bullying recently. My now 17 year old son, Morgan, experienced bullying around his food allergy in first grade, so I certainly empathize with this problem. What concerns me, however, is that it appears that news organizations, research and a public service announcement continue to focus on the problem and not on a solution. With many more years of parenting under my belt, experience of what does work and a long term view of bullying, I want to share some solutions to Food Allergy Bullying. First, let’s look at some of the history. FARE (Food Allergy Research & Education) created a Public Service Announcement about Food Allergy Bullying: It’s Not a Joke, and a recent New York Times blog post by Catherine Saint Louis called “In Bullies Hands, Nuts or Milk May Be a Weapon” furthered the discussion of this issue. 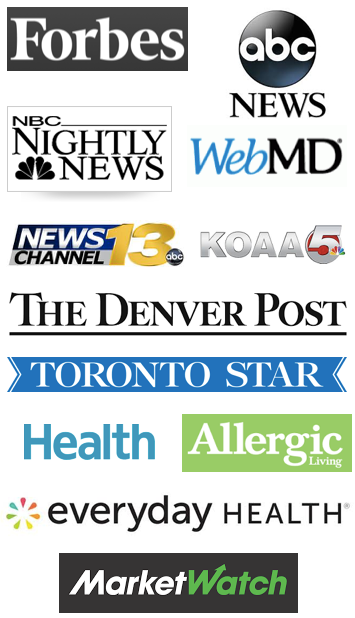 All of these sources talk about the problem of food allergy bullying, which does raise awareness about food allergies in general. The raising of awareness is a good thing, and I will certainly agree that Food Allergy Bullying is a problem. However, none of these sources are providing a solution to it. Emotional stories about children being bullied pull at our heart strings. They cause fear for parents of children with food allergies, especially if those children are young and not yet in school. Parents of young children who hear only that the school cafeteria is a scary place have expressed to me “that’s why I’m going to homeschool my child.” Rather than scaring parents (and children for that matter! ), or allowing parents to think that the only solution to Food Allergy Bullying is to homeschool – let’s start talking about what parents and children with food allergies can do. And what schools and school employees can do. Let’s stop talking about fear and start talking about the existing laws, accurate statistics and empowering our children. Fear and frothy emotional appeals gain headlines, but they don’t help our children to live in a world that doesn’t yet understand the seriousness of food allergies. Let’s be educators ourselves, and talk solutions. What are the solutions to food allergy bullying that we need to be talking about? We need to be talking about the laws that are available for children with food allergies in schools. A child with a food allergy has the right to an evaluation for a Section 504 Plan by the public school district where the child will attend school. This Plan will list the accommodations necessary for that child to receive FAPE – a Free Appropriate Public Education. The ADA Amendments Act of 2008 have made big changes to what is considered a disability in school. The ADA no longer focuses on the disability but on what services a child needs. The 2008 amendments expanded the list of major life activities to include eating. While many parents take exception to the label ‘disability’, we’ve found that the benefits of having a 504 Plan in school include inclusion and safety. The old idea of having Mom ask the teacher nicely to not have allergens in the classroom is passe. If your child needs accommodations such as a peanut-free classroom, get it in writing in a 504 Plan. If another parent or child takes exception to the peanut-free classroom, they can deal with the principal of the school. As a food allergy parent, you shouldn’t have to deal with an upset parent who can’t send in Snickers bars for a classroom treat. That’s the job of the school principal. This keeps you and your child anonymous, and therefore much less likely to be bullied. The Family Educational Rights and Privacy Act (FERPA) is a Federal law that protects the privacy of student educational records. A school employee cannot tell ‘everyone’ about your child’s food allergy. In fact, the school employee will only tell those who need to know – for example, the school nurse, principal, teacher(s). Additionally, it has been our experience that not every parent and child in your school needs to know that your child has a food allergy. Telling close friends is important. The old idea of having Mom stand up in front of the entire school to tell everyone that your child has a food allergy is not only not helpful, but can be harmful for your child if it puts a target on him or her. Again, keeping your child’s food allergy on a ‘need to know basis’ keeps your child anonymous and much less likely to be bullied. Educate yourself about your state’s anti-bullying law and your school district’s anti-bullying policy. Every state, except for Montana, has some type of school anti-bullying law. These laws could certainly be widened to cover food allergy bullying specifically. When Morgan was bullied in first grade by another first grade boy waving a cracker saying “I’m going to kill you with this peanut butter cracker” the incident was taken seriously as a bullying incident. Within one hour, the ‘bully’ was suspended from school by the principal. His parents were brought into school and educated about food allergies. This was in 2002, long before there was food allergy awareness. Our school district has an anti-bullying policy, and our principal followed that policy. It made no difference that the offending item was food – the behavior was bullying. We need to have accurate statistics – not just self-reporting. Colorado captures bullying statistics based upon any child that is in a ‘protected class’ (race, color, religion, disability, sexual preference, etc.) I’ve spoken with the Director of Legal Relations for our school district who stated that with disability as a protected class in Colorado, a child with food allergy who is bullied in school, should have a report sent to the state detailing the bullying incident. There is more work to be done to educate the educators about food allergy as a disability, and therefore as a protected class. The research cited above about the statistics of Food Allergy Bullying are all based upon self-reporting or parent-reporting. I’d much prefer to have exact statistics rather than self-reporting which tend to overstate what is occurring. Again, this creates fear for parents of children with food allergy, who end up believing that their child has a much higher chance to be bullied than what may be true. We need to empower our children and quit the fear mongering. My son never viewed the school cafeteria as a scary place. He wasn’t afraid of his classmates, nor was he afraid of his food allergies – even after he experienced anaphylaxis at age 10 to fish on a camping trip. We helped Morgan to make choices – safe choices – for his life. He viewed the bullying incident as a minor part of his childhood. After the bullying incident, we didn’t move to a new house, or pull Morgan out of school. 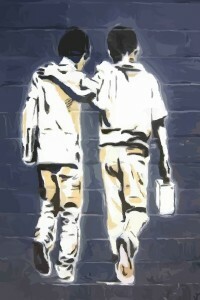 In fact, he and ‘the bully’ became friends, and the boy became one of Morgan’s biggest advocates. This boy’s house was the only place Morgan could go for a sleepover, because the family understood food allergies so well. They are friends still today. Morgan had other instances of children in grade school harassing him because of his food allergies. The school principal took those incidents seriously by calling in the parents and educating them, and by suspending a boy in 4th grade who wouldn’t move out of the peanut-free zone in the cafeteria with his Butterfinger bar. Our family continued to work with the school and school district to raise food allergy awareness. I sat on numerous committees within the school and PTO, and in the school district on the District Accountability Committee. This allowed other parents and district employees to get to know me. I became known as “The Food Allergy Lady.” I’ve certainly been called worse! When I suggested that a Food Allergy Task Force be created in our district to help increase food allergy awareness, the superintendent agreed. The Task Force continues to this day helping to ensure that the district guidelines for keeping food allergic children safe at school are followed, and that we continue to raise awareness about food allergies. Morgan continued to self-advocate throughout elementary and middle school. 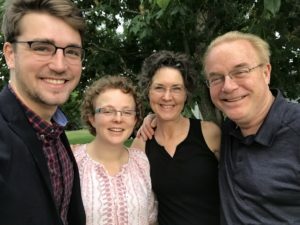 Now in high school, he teaches his friends how to operate an EpiPen, how to help keep him safe during lunch and on overnight trips with his high school Speech/Debate team. Morgan isn’t afraid of living. He has food allergies, but his food allergies don’t have him. Empower your children. Utilize the laws available for your child with food allergies. Don’t buy into the fear. Believe in the power of forgiveness. 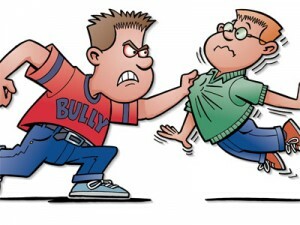 A bully might become your child’s friend and a food allergy advocate! Pingback: Food Allergy 101: 1, 2, 3...504 Plan! AllergicChild.com is the creation of Robert and Nicole Smith. We are the parents of a severely food allergic college age son, Morgan, first diagnosed at the age of 9 months old with life threatening allergies to peanuts, (tree nuts, sesame, fish and shellfish came later); and a grown daughter, Michaela, diagnosed with celiac disease and a mast cell mediated disorder. We’d like to share our experience with you to help you keep your food allergic child safe, healthy and living as close to a ‘normal’ life as possible.